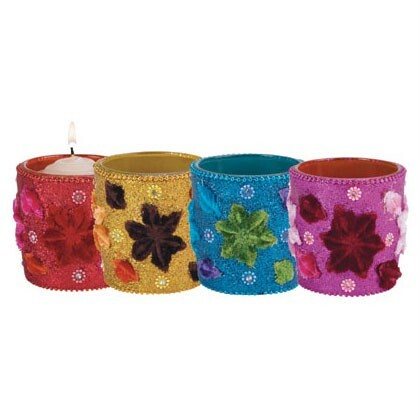 Adorned with glittering flowered fabric in luminous hues, these votive holders shine as much as their candle’s flames. Covered glass cups. 2 1/4" diameter x 2 1/2" high. Set of 4.